A cold wind is blowing here in Atlanta. Yes, I know many of you are much colder than we are here, but it was also almost 70F out yesterday. Today it'll be closer to 45F. Definitely glad that, earlier this week, I got out my extra blankets that were buried in my closet. So those'll be nice. What'll also be nice is snacking on some bite-sized gaming stories. Today on the platter we have: The 12 Days of Reaper Is Now Live, Puppets War Head Sale Happening Now, Oddzial Osmy’s 3mm November Releases Arrive at PicoArmor, RBJ Game Company Running S.T.A.R. 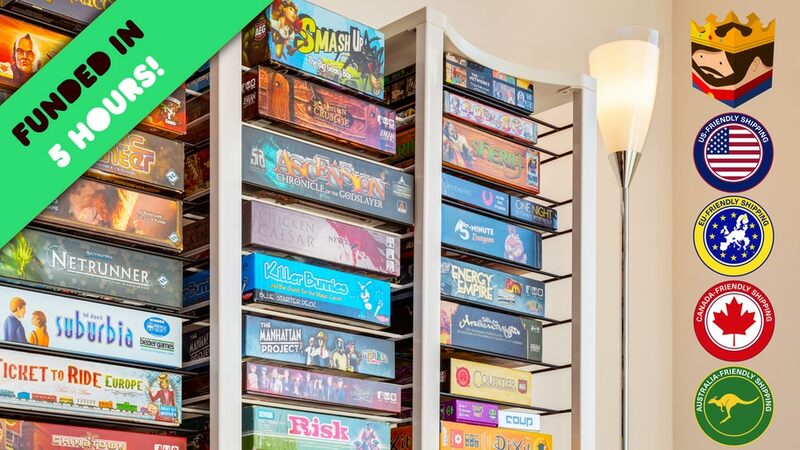 Troopers 3 Kickstarter, Khurasan releases more 15mm Kushans/Indians, and BoxThrone Modular Board Game Shelving System Up On Kickstarter. Reaper is at it once again. They're looking to expand their range of Bones miniatures and have taken to Kickstarter to do it. Like before, they're offering a bucket of miniatures at a low cost, and they've already started making their way through several stretch goals, adding even more value to the main pledge level. It's never too early to figure out travel plans and housing arrangements for the conventions that are happening this year. Booking early generally means lower prices and much higher availability at your first-choice hotels. 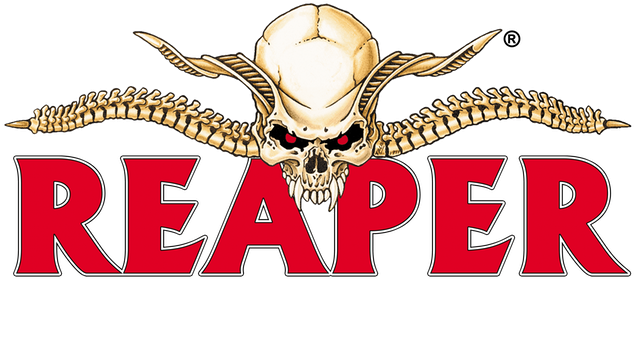 So, it's nice that the folks over at Reaper Miniatures have announced Reapercon 2017's dates. Well, this week we have Essen Spiel. I know I can't make it out to Germany for the event. It's a bit further than my driving distance allows. Considering the demographics of the website, I'm sure most of you reading this also think that Germany's a bit out of "road-tripping range." However, Texas not so much. So if you can't make it to Essen, maybe you can make it to Lewisville. Pulposaurus Entertainment has been running their Conan: Rise of Monsters Kickstarter campaign for a little bit now. The campaign had made it over the $100k mark, but that was still below 50% of their goal. I got to see the miniatures at Gen Con and thought they looked very good, especially for pre-painted plastics. Well, the guys over at Reaper Miniatures thought they looked pretty good, too. As such, they've decided to partner up with Pulposaurus. With the weeks streaming by quickly, we're already coming to the end of the Bones III Kickstarter campaign. There has been quite a lot unlocked, with a couple hundred more figures being made into the Bones material. But, of course, there's always more they would like to add to it. There's certainly one figure I'd like it if they unlocked. And it's a big one. 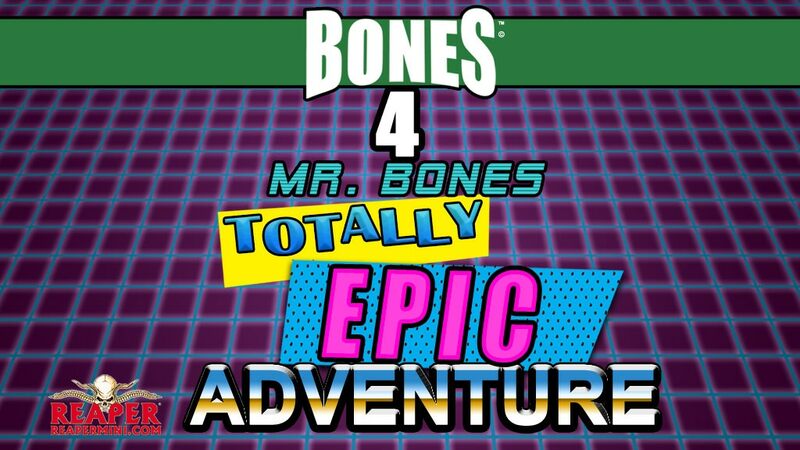 At some point, I'm sure someone at Reaper, during the planning for the Bones III Kickstarter said, "You know, for this campaign, we really have to bring out the big guns." Apparently, someone took that statement fairly literally. 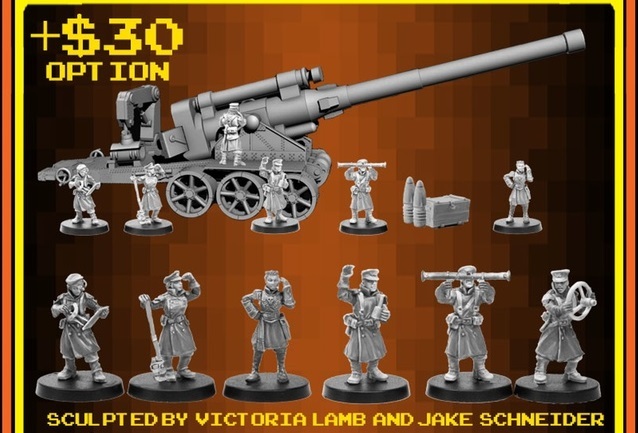 They then called up the fine folks over at Victoria Miniatures and said, "So... we need to bring out the big guns for this Bones III Kickstarter." And then the Victoria Miniatures people also took that literally. At least, that's how I hope the decision to add the Sledgehammer artillery piece to the campaign went. Well, Reaper continues to roll along with their Bones III Kickstarter campaign. They've made it through the first page of their stretch goals and have rolled over to the next. Helping this along are the number of add-ons that've been unlocked. There's several dragons. There's some sci-fi soldiers. There's some mouselings. All pretty good stuff. But recently they posted up their Stoneskull Expansion set, which is a whole different ballgame. Victoria Miniatures has announced that they will be creating a special "guest spot" miniature for the Reaper Bones III Kickstarter campaign. The piece is going to be specially designed for the campaign and cast out of grey bones material (as opposed to the regular white). They have a small preview up, with the full announcement on the Bones III campaign coming around the halfway point of the project. From one big Kickstarter and directly into another. 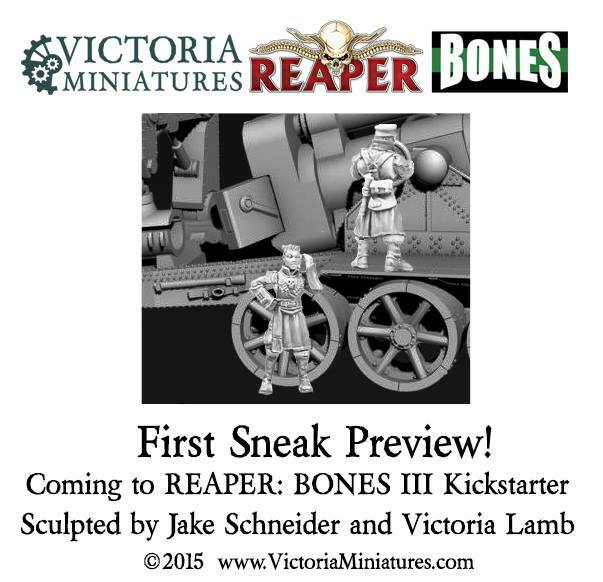 Reaper Miniatures has just launched their campaign for Bones III. This campaign's a pretty short one, only going for 18 days. Watching the ticker go, they're already well over their funding goal. It'd be impractical to say what the number is right now, since it'll change, possibly drastically, by the time I finish this sentence (and looking back at the page, this is very true). 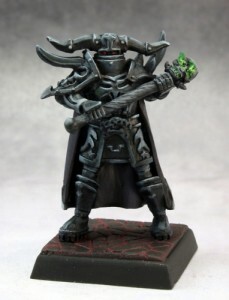 Reaper's Bones line of minis has made quite a splash with gamers. The first campaign made just shy of $3.5mil. and it seemed like everything Reaper could possibly make into their new material was done. Then came Bones II, and another $3mil. in pledges. It seemed there was always more to release from them. Well, now Bones III will be coming to Kickstarter in just a matter of weeks. CMON Expo moves inexorably closer with each tick of the clock. We've already got quite a lot lined up for the show, but there's always more to talk about. This week, we've got a new guest, new tournament, and new hobby event to let you know about. The guest is Teri Litorco. 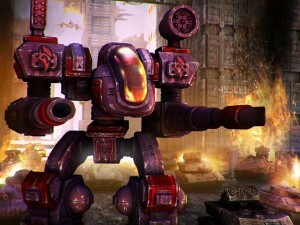 The tourney is Rivet Wars: The Big Push. The hobby event is our Paint & Take. Click below for details. 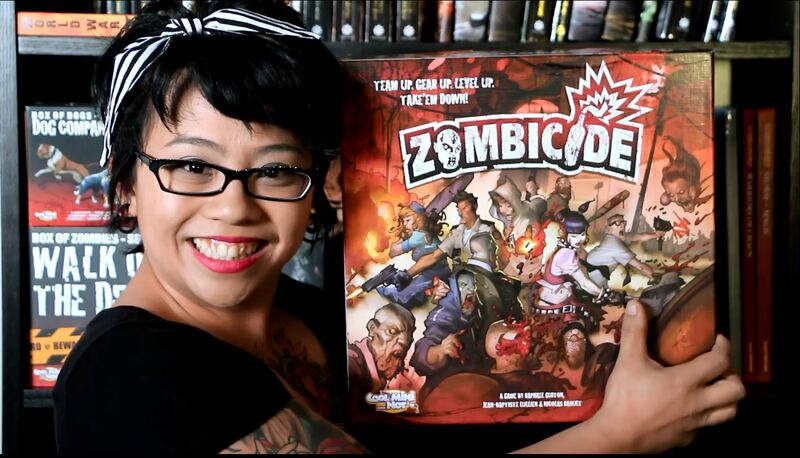 Hey there gaming buddies, it's time again for another Sunday Snippets here on TGN. So what's happening? We've got some photos of Medrin cast in resin resin, Torn Armor gives us an update of their 3D renders with Reaper, a look at some new 10mm terrain from War Mage Games, a new release from Hitech Miniatures, some new template colors from Micro Art Studios, and more. 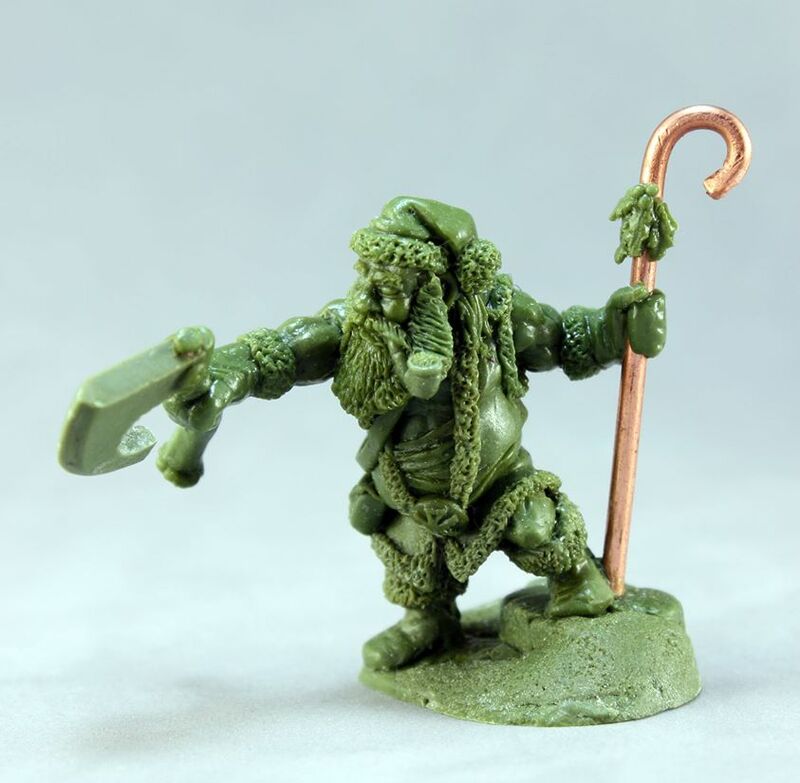 Reaper Miniatures has posted up the WIP green of the Christmas model they're working on for this year. This Santa Dwarf is ready for business! He'll be available on November 28th. Sculpted by the effervescent Jason Wiebe! Reaper Miniatures is showing off their special Christmas miniatures they're making for this year. 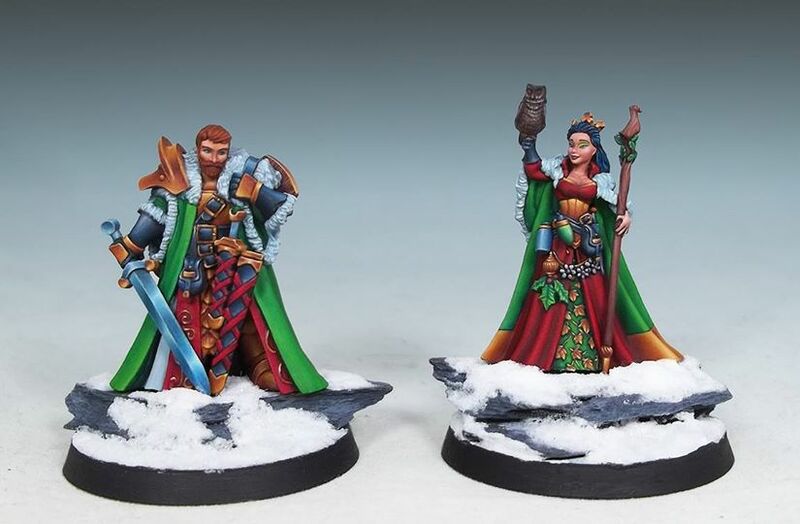 We're pleased to show off our two new Christmas miniatures, available this December - Christmas Eve and Christmas Knight, designed by Talin, sculpted by Bobby Jackson, painted by Jessica Rich. You can see these wonderful models in person at the Reaper Artist Conference today and tomorrow! 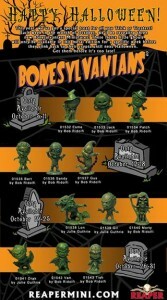 Reaper will be running special, weekly sales all through the month of October on special Bonsylvanian minis. Miss out and you'll have to wait until next year. This year, we’ve got a special treat for all you Trick or Treaters! Each week in the month of October, we’ll be revealing three new Bonesylvanians Miniatures! These fierce little ghouls will only be available in this metal edition for a specific week before they slink back to their crypts until next Halloween. Get them before it’s too late! Reaper has just a few days left on their Cav Kickstarter campaign. They've just made it through their $150k stretch goal. How many more can they make it through before the campaign ends? $150,000! SNEAK ATTACK!! Unknown Forces Spotted! To fight off these forces, we've Upgraded your Core Force to Include x2 Silverback CAVs! 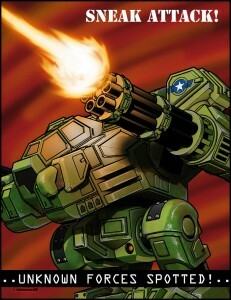 Reaper is in their final week for CAV: Strike Operations on Kickstarter. They're hovering just under $150k. Will they be able to make it and more before the end? Only your pledges will decide. AND we're giving you the ability to also get the Archer for +$5, and 2 Naginatas for +$4!! Reaper Miniatures looks to bring out a new edition of CAV and some new minis with their new Kickstarter. And it's already funded! So on to stretch goals for the next 26 days. Reaper’s CAV: Strike Operations (C: SO), in partnership with Talon Games, is a project to ramp up the production of the CAV miniatures line in high-quality plastic and get you the game models you want now at an incredible introductory price as we ramp up for the release with an all-new game edition. 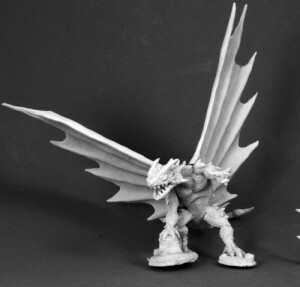 Reaper Miniatures has new releases for Chronoscope, Dark Heaven Legends, and Pathfinder available over in their webshop. 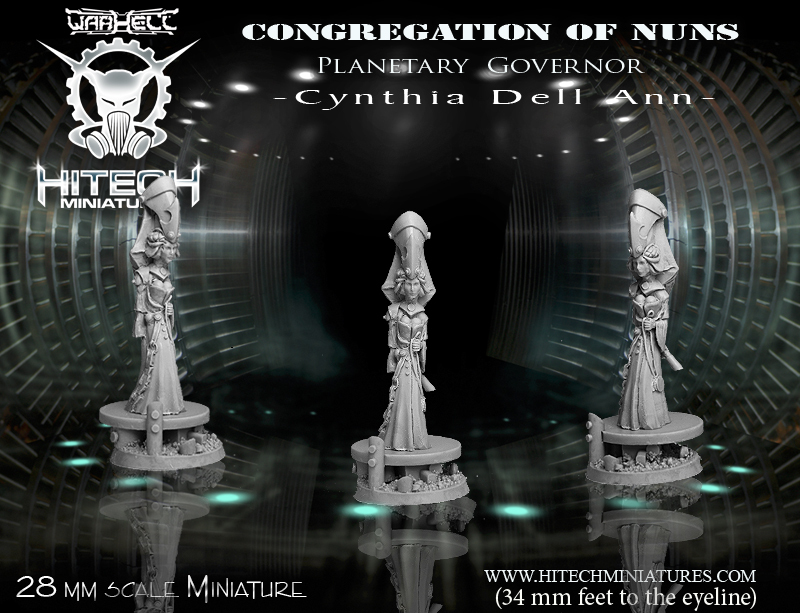 Reaper Miniatures has a new minis line based on the Numenera IP. 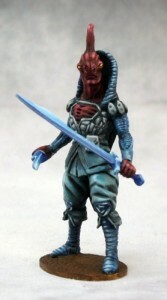 We're pleased to announce the release of our newest Licensed Miniature Line - Numenera! Produced in conjunction with Monte Cook Games, these high-detail pewter miniatures are perfect for characters, heroes, and denizens of the Ninth World! Play Unplugged takes a look at the Townsfolk Bones set from Reaper and gives you their thoughts on the subject. 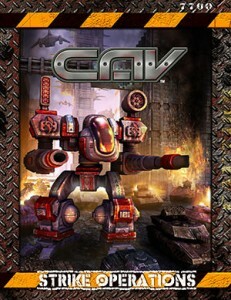 Non-combatants are often an afterthought in miniature gaming. It is easy to see why, when our hobby encompasses so many differing elements, and speaking frankly, civilians are simply less glamorous or in the case of some historical battles, can be downright horrific to include. (Generally speaking, the rule of good taste should guide you.) That said, the inclusion of a few civilians can really add some realism to the appearance of your table, and can even be useful for scenarios and roleplaying situations. The inclusion of tons of science fiction civilians in the crowded hives of our Dark Hersey campaign had made for many a memorable battle. 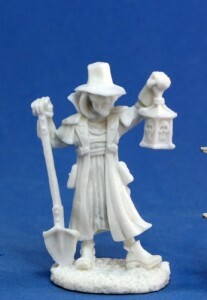 Reaper Miniatures posts up their latest releases over in their webshop. Metal. Specifically, new metal releases. Behold! Later this week, we'll also be unwrapping this year's 12 Days of Reaper promotion. So there's something else to look forward to. December 6th is the launch of that. Play Unplugged helps you game on a budget by showing off some of the more-affordable avenues into minis gaming with a look at BattleSworn and the Reaper Bones minis. Tabletop miniature games can be expensive. This reality is frustrating to both beginners looking for a low-cost entry point and veterans looking for value. Our Budget Wargamer articles highlight inexpensive and exciting games and figures that provide the most bang for your buck. In this article Play Unplugged’s Enrico Nardini looks Ganesha Games’ BattleSworn and Reaper Miniatures’ Bones.